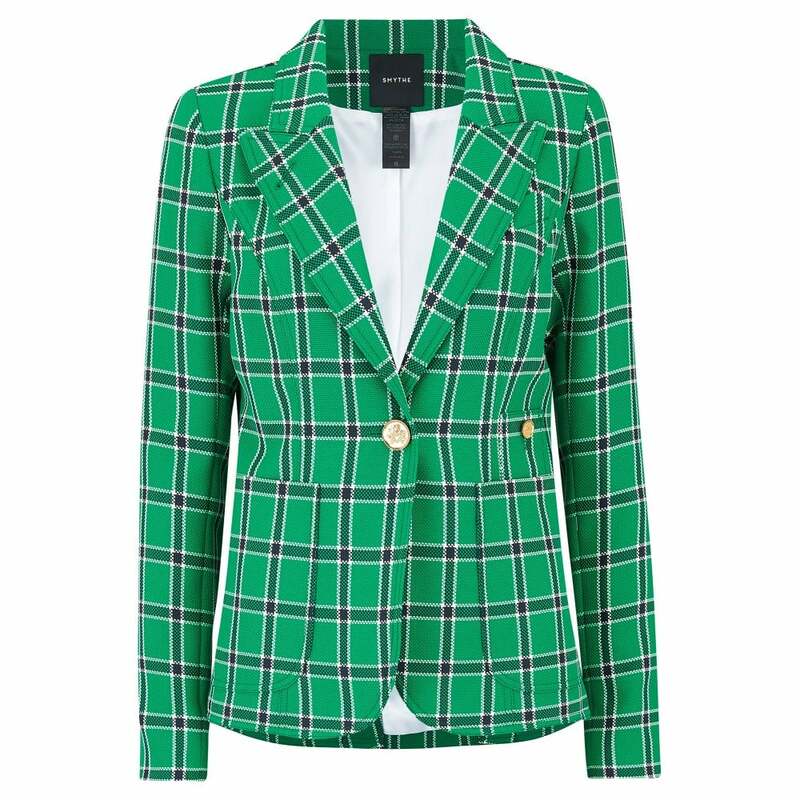 Smythe Patch Pocket Blazer in Kelly Green Plaid: Canadian brand Smythe re works their Duchess blazer this spring in a green golf check with a one button front fastening. Wear over a white tee and the AG white Mari jeans and Golden Goose sneakers for a stylish daytime look. * 67% polyester, 33% cotton.